That should, of course, be lychees. Which a 3 for $10 wine like the Gato probably doesn’t taste like anyway. Albarino is a Spanish grape that produces white wine that doesn’t really taste like sauvignon blanc, though it has some sauvignon blanc-like qualities. This has left it in wine drinker limbo, since quality albarino usually costs a couple of dollars than sauvignon blanc. Its cause hasn’t been helped by some Spanish wineries, which market albarino as a Spanish sauvignon blanc. This is too bad, because well-made albarino is worth the extra couple of dollars a bottle. The Montecillo ($13, sample), made by the always reliable Maria Martinez, has everything albarino is supposed to have: some citrus, but not an overpowering amount; a long, clean, stony finish; and a more full, richer mouth feel that is completely different from that of sauvignon blanc. The wine geek term for albarino’s flavor is lychees, which is best described as something between a pear and a grape. And did I mention low alcohol? Or that it has a screwcap? Having said all that, albariono is, like sauvignon blanc, a seafood wine. Think boiled shrimp or steamed mussels or even something more exotic. The Spanish like to drink it with barnacles, called percebes, that are prepared in more or less the same way as mussels. 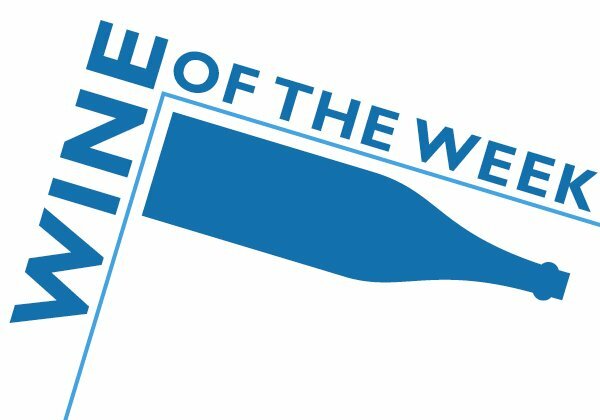 Hedges CMS White is the kind of wine we don’t see enough of in the United States — a well-made, everyday wine at a reasonable price. It’s a blend of sauvignon blanc, chardonnay and marsanne, and I’ve been drinking it (along with its companion, CMS Red) for years. The suggested retail price is $14, but it usually costs less than that, and I picked up a previous vintage over the weekend for $10. The wine was as it always is — crisp, fresh and even a little more interesting than usual, with more of a stony finish and less fruit than normal (probably because it was a year older). Is it white Burgundy? Nope. But, as the Wine Curmudgeon always points out, it’s not supposed to be. Which brings us to the Hedges’ entry in CellarTracker, the blog’s unofficial wine tracking software. One of CellarTracker’s most fun features is the public tasting notes, where you can see what other people have to say about your wine. 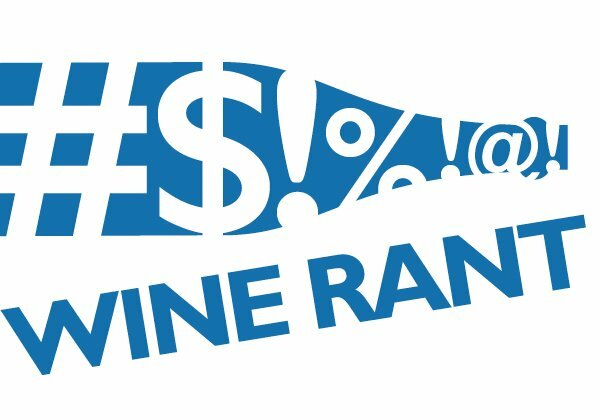 The public notes also encourage wine scores, which I tolerate for two reasons: first, because the software is so good otherwise, and second, because it allows me to point out the fallacy of wine scores. One drinker gave the CMS White 77 points, which is the equivalent of something you wouldn’t use to get drunk with. Two others gave it 90 points, which is about as good a score as this style of wine is going to get. But my favorite score was an 86, from a person who noted that the wine was “over the hill and starting to fall apart.” Yet, somehow, it still got an 86, which is a fine score for almost any kind of wine. 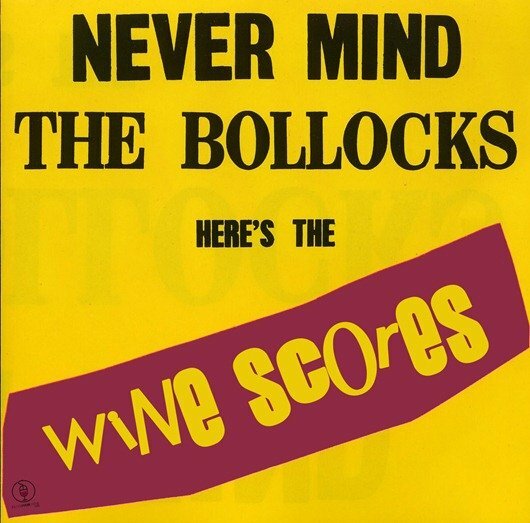 Those four scores demonstrate everything that is wrong with wine scores. Here are four people, drinking the exact same thing, who come to almost completely different conclusions. And one person, who finds the wine flawed, still gives it a high score. How can anyone, reading this, be anything but confused? And yet wine scoring is considered the be all and end all of wine criticism. It’s enough to make the Wine Curmudgeon take to his wine closet and refuse to come out. Please note that I’m not criticizing the people who gave the scores. Each is entitled to his or her opinion. I’m criticizing the system that forces them to give scores. They have different palates, different approaches to wine, and different ideas about what the wine is supposed to taste like. The 77 person described the Hedges as bland. Which I can see, if 77 prefers heavily oaked California wines with high alcohol. If, on the other hand, you prefer lighter, less extracted wines, as I do, then the wine isn’t bland. It is (as I wrote) crisp and fresh. At best, as this exercise demonstrates, scoring is wildly inconsistent. At worst, it’s even more confusing than not using any score at all. Look at the Hedges scores in CellarTracker!, and tell me how anyone can decide to buy the wine based on what the scores say. 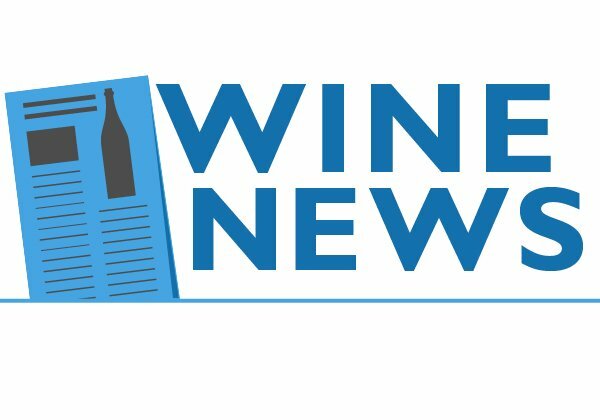 wine scores, wine writing, Hedges CMS White, CellarTracker! The only thing missing on this porch? Wine, of course. 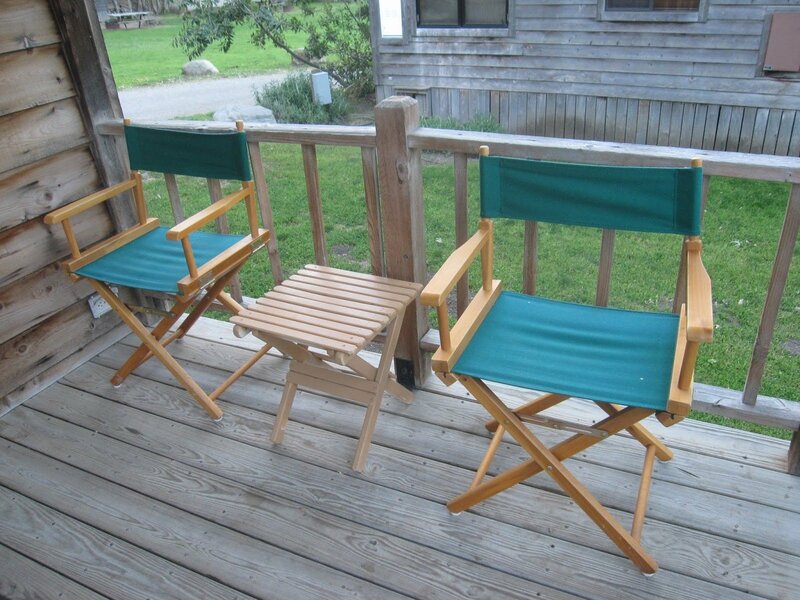 The term porch wine shows up in a lot in wine writing — not just mine, but in others as well. And it occurred to me that I may well be putting the wine before the glass when I write about porch wine. Just what is it? This is a version of a story I wrote for the Star-Telegram newspaper in Fort Worth a couple of weeks ago. And, if you’ll allow me a bit of sentimentality, it ?s the final article I wrote for the paper. I’ll miss doing it. I’ve been writing for newspapers since I was 16 years old (Highland Park Mail-Advertiser in suburban Chicago), and that’s a tough habit to break. But the blog and my work with DrinkLocalWine.com have taken my wine writing career in a decidedly non-newspaper direction. • Lower alcohol is better. Typically, red wines, and especially New World red wines from California and Australia, are 14 percent or more alcohol. There are many dry white wines, and especially from France and Italy, that are less than 13 percent alcohol. Those two points of difference on a hot day are the difference between a refreshing swallow and feeling the wine after just a glass and a half. • Crisp and fresh is more refreshing. Most red wines aren’t crisp or refreshing, because they’re not supposed to be. That’s why they traditionally pair with heavier, cold weather food. A porch wine, like sauvignon blanc or an unoaked chardonnay, is more summery, with lighter fruit flavors like pineapple, grapefruit, lime, and green apple instead of cherries and berries. • Red wines with white wine qualities. Not all red wines have 15 percent alcohol and sandpaper tannins. Many are made with softer, less harsh grapes with less dark fruit. These include Spanish and French wines made with grenache, a grape that likes hot weather and is made in warm winemaking regions. • Sweeter wines. No, not white zinfandel, but wines that are sweet yet balanced. In these wines, the sweetness is set against an acid flavor, like lemon, so that it’s not soft drink sweet. These wines include riesling and torrontes, a white grape from Argentina. • Don’t be afraid to add an ice cube. These generally aren’t high-dollar French or California wines, so the wine police won’t arrest you if you want to take the edge off with a cube or two. The idea behind porch wines (behind most wine, in fact) is to enjoy yourself, and not to impress someone. The wine industry has had a revelation: Wine is too difficult. What’s going on here? Has the wine business finally come to its senses? Can we expect real change and not just lip service? Will we finally see labels that do more than patronize with cute design or confuse with jargon and platitudes? It’s not news that a problem exists, though it is news that people in the industry have noticed it. This is an industry, after all, that thinks a back label for a grocery-store quality wine that says “Our Pinot Grigio … is reminiscent of a pear cupcake with white chocolate” is effective marketing. Which it’s not. For one thing, the wine doesn’t taste like that. For another, why would anyone want it to? We can thank the recession for this new perspective. It has wreaked havoc with the wine business model — sell expensive wine to people who don’t understand what they’re drinking. Since the mid-1980s, this has been a fabulously successful approach, with sales and consumption reaching all-time highs. Even many of the companies that make cheap wine succumbed. No one, and I mean no one, knows more about selling wine than Gallo, yet this is the description the company uses for its Barefoot chardonnay: “Golden and smooth, with a sweet vanilla aroma, our medium-weight Chardonnay is full of honeyed peach and Fuji apple flavors.” Fuji apples? In a $6 wine? We’re approaching peach cupcake territory here. This is why it’s going to be difficult for the wine business to change. It dislikes change (corks, anyone? ), and cute and confusing has been around so long that it is ingrained in the industry’s being. It’s like losing weight. I know that I shouldn’t eat takeout pizza if I want to drop a few pounds, but it’s just so easy to pick up the phone and order and worry about losing weight later. 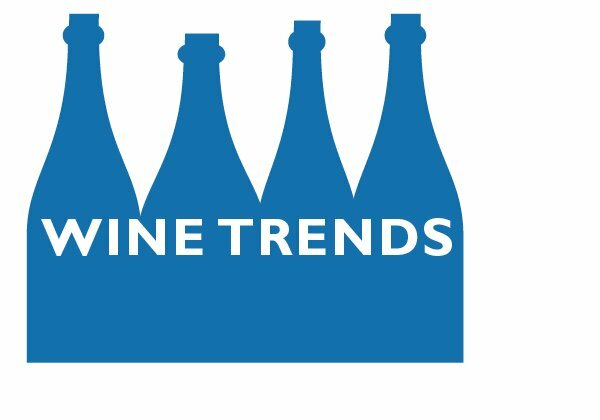 This is not to say that there haven’t been positive developments, like the International Riesling Foundation’s sweetness guide. The group has developed a sensible, easy-to-decipher label symbol to tell consumers just how sweet a particular style of riesling is. The problem, though, is that the rest of the wine business is busy telling consumers they’re a bunch of yahoos if they drink sweet wine.
? A recommended, industry-wide standard label, based on the riesling foundation example, that offers information that consumers need. How dry is the wine? What temperature should it be served at? How fruity is it? What grapes is it made with (since a wine that says merlot can be 25 percent something else)?
? Education, education, and more education. 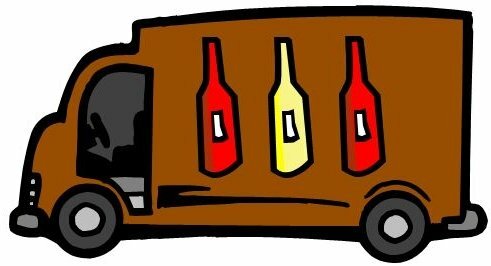 How about a Wine Institute road show, featuring top winemakers, that travels the country giving wine education seminars?
? Making wine for wine’s sake, not as line extensions or to take up shelf space. In some grocery stores, there are more wines for sale than cereals. What’s the point of that? All it does is confuse the consumer. And, as always, the Wine Curmudgeon is ready to do his bit. Yes, one can drink wine on the Fourth of July. It's a picnic holiday, after all, and there are plenty of picnic wines. It's a barbecue holiday, and there are certainly barbecue wines. It's a party holiday, and there is an entire category of party wines — Champagne and sparkling wine.
? Rose, rose and some more rose. This solves the sweet wine problem for people who don't like to buy sweet wine. Most roses, even though they aren't sweet, are fruity enough to do the trick. It also answers the question about what kind of white wine to serve with beef — pink.
? Sparkling wine: Toast the U.S.' birthday with New Mexico's Gruet, which recently received the stamp of approval from the New York Times. 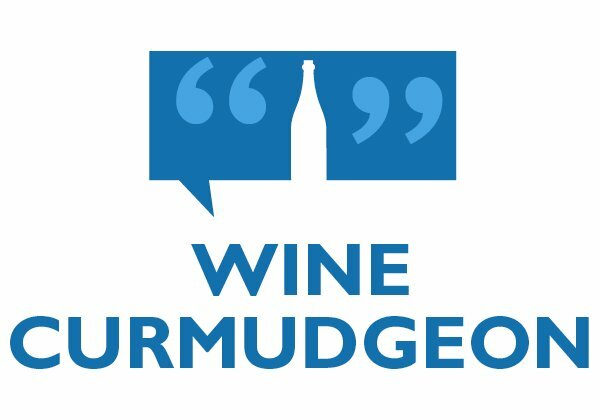 Or check out the Wine Curmudgeon's value-oriented suggestions (or cheap, as we like to say).
? Lighter red wines: I did a Facebook chat for Dallas' Advocate Magazines the other day, and this is one of the subjects that came up. This is a good time to mention Ridge's Three Valleys, a zinfandel blend for about $20, that has long been one of my favorites. Look for red blends, wines made with grapes like grenache, and pretty much anything that isn't the standard cabernet sauvignon or merlot. Memorial Day traditionally marks the beginning of summer, so what better time to discourse on rose — one of the Wine Curmudgeon's favorites and a style of wine that is too often overlooked? The quality of rose has improved dramatically over the last decade. I don ?t know that I have actually tasted a poorly made rose in the past couple of years. Some of them have been too expensive, but that ?s another story. Usually, you can buy quality rose for $10, and often less. The most important thing to know about rose is that it isn ?t white zinfandel (or white merlot or whatever); roses are pink wines made with red grapes, and roses aren ?t sweet. Why are they pink? Because the red grape skins are left in the fermenting grape juice just long enough to color the wine. That's how all wine gets its color, in fact. White wine is white because the skins aren't used to color the wine.